Frances Perkins, born Fannie Coralie Perkins, 1880-1965. United States Secretary of Labor, 1930-1945. Typed Letter Signed, Frances Perkins, one page, 7" x 9", on blind-embossed stationery of The Secretary of Labor, Washington, [D.C.], January 6, 1939. With original mailing envelope. Perkins holds a number of distinctions: She was the first woman to serve in a presidential cabinet; thus she was also the first woman to be in the line of succession for the presidency; and she served as Secretary of Labor longer than any other person. She and Secretary of the Interior Harold Ickes were the only two cabinet members who served throughout President Franklin D. Roosevelt's entire presidency. 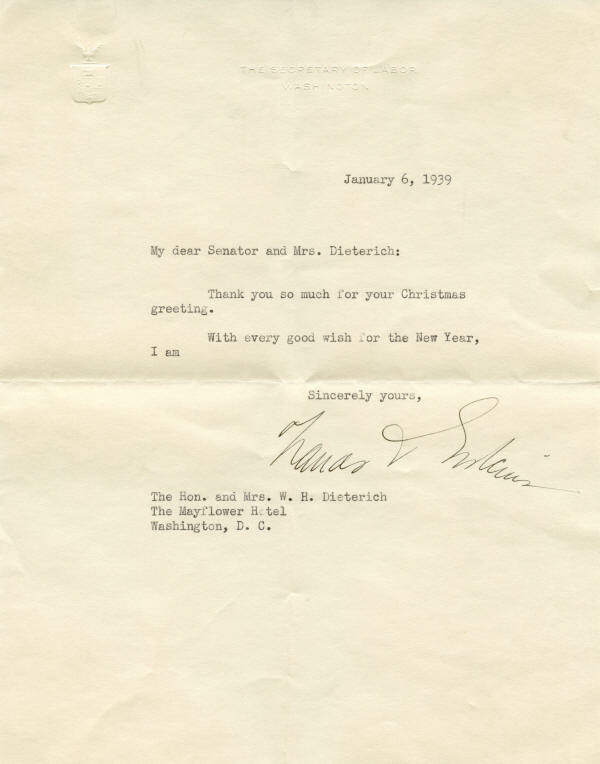 Here Perkins sends a cordial note of thanks to former Illinois Senator William H. Dieterich and his wife for their Christmas note. She writes: “Thank you so much for your Christmas greeting. / With every good wish for the New Year, I am / Sincerely yours . . . ."
The simplicity of this letter belies Perkins' impressive accomplishments as Secretary of Labor. She helped to secure passage of legislation creating the Civilian Conservation Corps, the Public Works Administration, the Federal Works Agency, and the National Industrial Recovery Act; obtaining Social Security benefits for unemployed, elderly, and poor Americans; defining the 40-hour work week; requiring both the minimum wage and overtime pay; and regulating child labor. After Perkins left the Department of Labor, President Harry S. Truman appointed her to the United States Civil Service Commission, on which she served until 1952. Dieterich (1876-1940), a Democrat, served a term in the House of Representatives before being elected to the Senate in 1932. He served one term but did not run for reelection in 1938. He reentered the practice of law in Illinois, but he died on a business trip in late 1940. This letter has the blind-embossed seal of the Department of Labor at the upper left. It has one horizontal and one vertical mailing fold, the latter of which passes, although not obtrusively, through the “Fr" in her signature.  The accompanying mailing envelope has a vertical fold and is soiled, but the flap has been opened cleanly and the envelope therefore is not torn. It has a pencil notation “735,” presumably the Dietrichs' room number at the Mayflower Hotel, on the front in another hand. Both pieces are in fine condition.